About one third of patients do not benefit from medical treatment. For these patients electroencephalographic (EEG) biofeedback is a viable alternative. EEG biofeedback, or neurofeedback, normalizes or enhances EEG activity by means of operant conditioning. 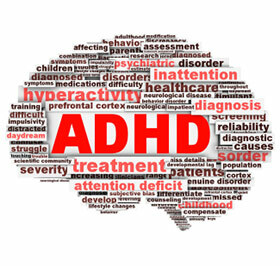 Since the first reports of neurofeedback treatment in Attention Deficit Hyperactivity Disorder (ADHD) in 1976, many studies have investigated the effects of neurofeedback on different symptoms of ADHD such as inattention, impulsivity and hyperactivity. This technique is also used by many practitioners, but the question as to the evidence-based level of this treatment is still unclear. In this study selected research on neurofeedback treatment for ADHD was collected and a meta-analysis was performed.